Aspiring to make a mark in the world of style, here is the attire to breath life into your aspirations. 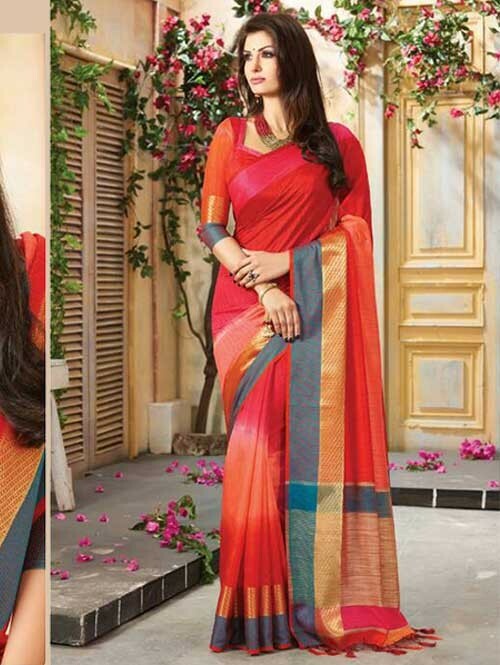 Make the heads flip after you dress up with this gorgeous Red Cotton silk classic saree. This saree os perfect cotton silk for occasions and events anytime of the day or night.it will keep you comfortable all day long. Stitch its Blouse as per your size and be the center of attention.This Ethnic wear Saree comprises a Saree length of 5.5m.